Since the time I started running and buying running shoes, I always think and have the impression that “cheap shoes are low in quality and it is a waste of money spending on them”. This is the reason why I concentrated on using ASICS Shoes (Made In Japan, then) and New Balance (Made In USA, then, too!) during my early days as a road runner/marathon runner. Obviously, these brands then were the most expensive ones. Since I started blogging, I’ve used different brands of running shoes and it was Joe Matias of “A Runners Circle” (ARC) Specialty Running Store in Los Angeles, California that gave me the ONLY Complimentary Shoes in my entire running career when the HOKA ONE ONE was initially introduced in the market. I am proud to say that I was the FIRST Local Runner in the Philippines to have used the said shoes 4-5 years ago. I was able to try their first models of their Bondi B and Stinson EVO. I never had a chance to review these shoes as I found them to be perfect shoes in my LSD on the paved roads due to its maximal cushioning. Up to this time, I always use these shoes in my training on paved roads. Out of curiosity, I started to browse on the website of Merrell Shoes and I found their models very interesting and was able to read feedbacks/reviews of each model from its users which is a mixture of pros and cons on the on its fit, comfort, and durability. My interest in this brand of shoes led me to visit their distribution stores in Metro Manila. I am surprised that their stores have stocks on those shoes and models that I’ve seen in their website. 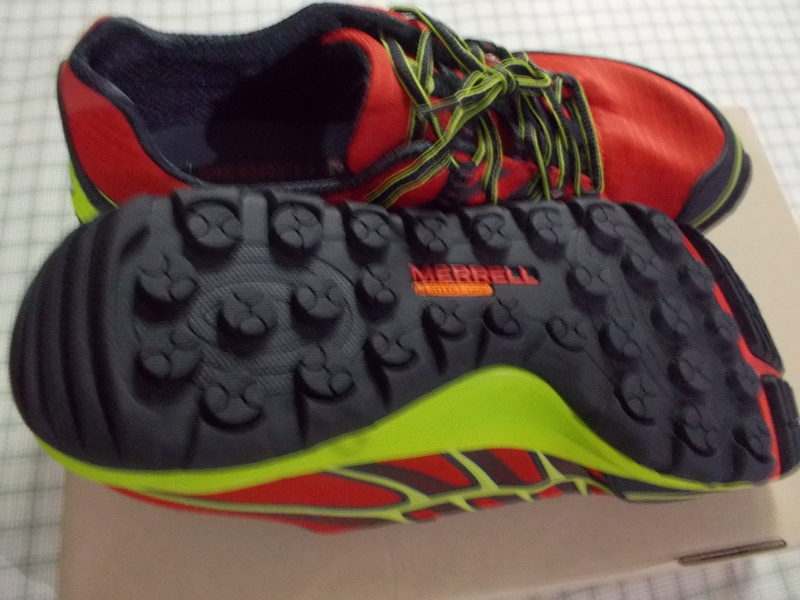 In short, I bought my first Merrell Shoes which is the “All Out Rush”. The All Out Rush (AOR) is categorized as a Cushioned Trail Shoes and I got the red one. I am not particularly interested with its specifications and material components because I just wanted an alternate training shoes for my trail running workouts. I immediately used it in my trail running workouts. For the past one month & half and for almost 100 miles of trails in my “playground”, I am satisfied with it. The fit was perfect whether I use a thin or thick running socks or whether I tie the shoe laces tightly or loosely. But I prefer them (shoe laces) to be tied tightly so that the shoes is tightly snugged on my feet. I have observed that these shoes don’t have any insole but I still find them to be comfortable. 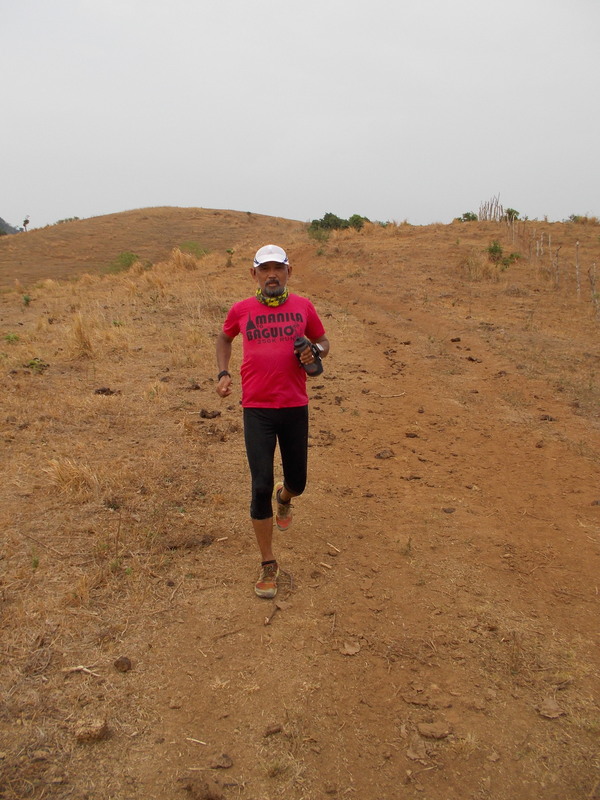 At first, I could feel the lugs of the sole of the shoes on my feet during my downhill running but as I used them, my feet became accustomed to the feeling as if there is a “massaging” feeling on my sole. But when I use a thicker pair of trail running socks, the feeling is completely gone. 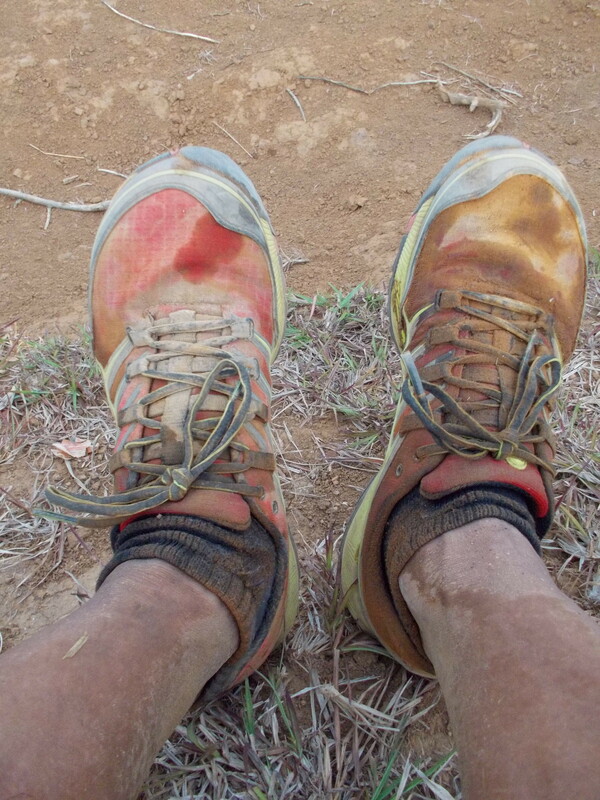 Actually, I have the same experience on the first few miles while using my Salomon S-Lab Sense 3 (SG) Shoes with its more aggressive studs on its sole. I’ve been using it in my daily trail runs and have it sun-dried every time I removed them from my feet after my runs. I have never washed them and I am excited to wear them with the dirt and dust on their uppers every time I go for my trail running workout. I don’t smell any “nasty” odor from the shoes due to its “Breathable mesh lining treated with M-Select™ FRESH odor control”, whatever that description means but it is really true! I find the shoes weight lighter than my Hoka One One Shoes which is 9.3 ounces per shoe, a standard weight for a cushioned trail shoes. I find the weight of a trail shoe and its cushioning as the two most important factors to consider in selecting a trail shoes for ultras and shorter distances. I wonder what material the outsole is made of but it is not Vibram. I find it surprising that I don’t see any “wear & tear” signs on them after using them for almost 100 miles in the mountains over hardened trails, rocks, sandy lahar-like soil, and paved roads. The sole studs don’t have any signs of being deformed or shaved-off from its original appearance. As compared with my other trail shoes, like Hoka One One, Salomon, New Balance, ASICS, Adidas, and Altra, with almost 100 miles of usage, I could already see some signs of shaving-off of their outer soles (usually on the outer side portions) due to “wear and tear”. The outsole studs are not pointed or look aggressive as they are in circular forms but I find them very effective in my downhill running over loose soil and steep hardened trails. You can buy two pairs of these shoes for the price of a “high-end” trail shoes being used by European elite mountain trail runners. But surprisingly, if you buy the shoes in the local market or in local Merrell Stores, they are much cheaper than what is posted as their price in their website. On my part, in a span of six weeks, I’ve already bought three (3) pairs of MERRELL Shoes to include the “All Out Rush”. Simply said, this is to inform my readers that I am NOT an Ambassador or Sponsored Runner/Blogger of this Shoe Company. 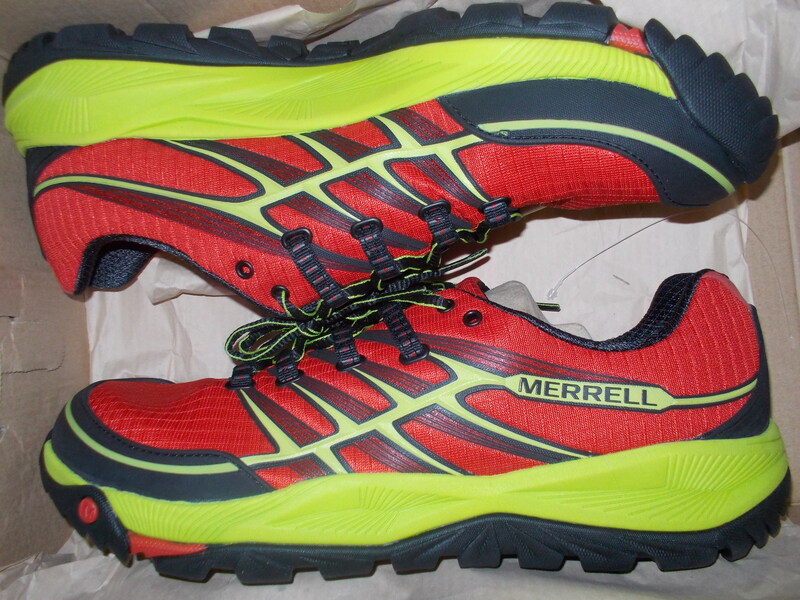 More “User’s Report” on other Merrell Shoes to follow.